National Vote Registration Day is on September 25th. 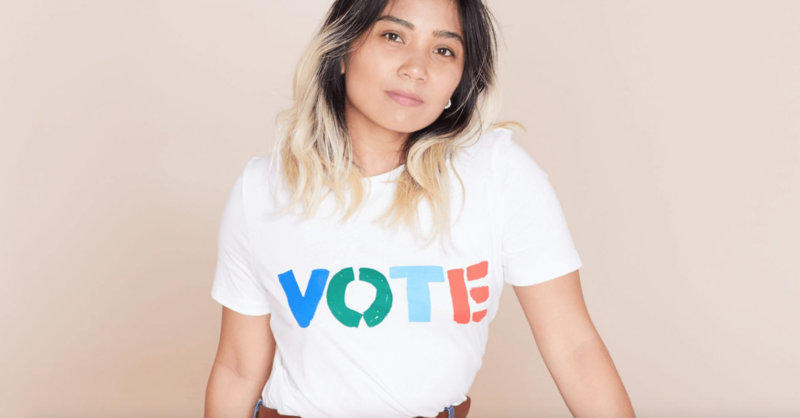 To encourage people to register for the midterm elections and beyond, Elle partnered with When We All Vote by making politics, fashionable. Nine designers were asked to design a tee fit to rock the polls and an “I voted” sticker. Portions of all proceeds will to go to pro-voting charities. 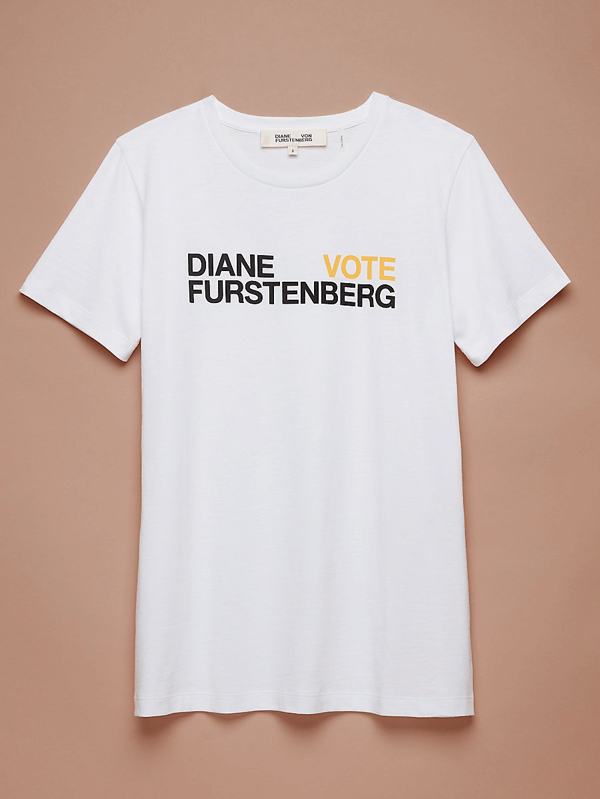 DVF’s limited edition VOTE tee encourages women to make their voices heard this November. DVF will be making donations to ACLU. 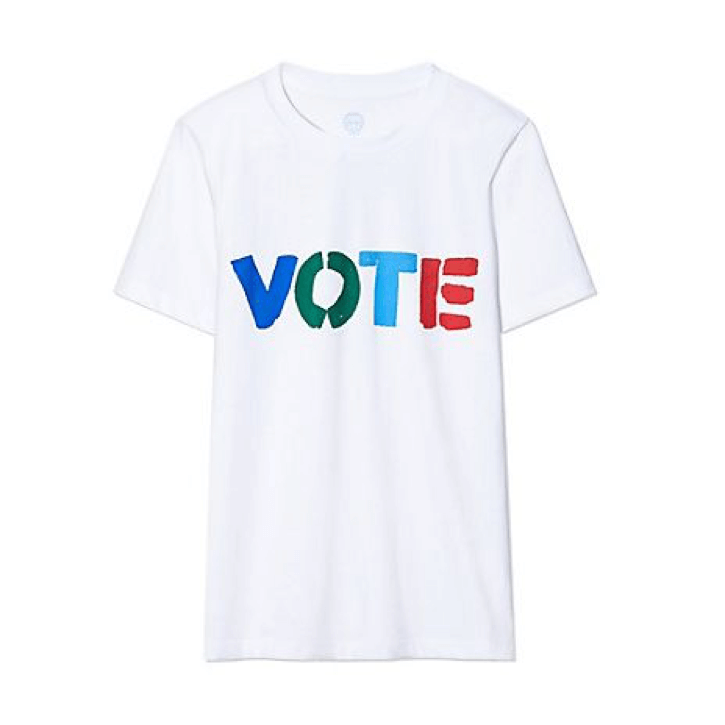 This Tory Burch t-shirt was created to “urge all young Americans to actively participate in our democracy and cast their ballot in November.” 100% of net proceeds will benefit Yara Shahidi’s Eighteen x 18 and its upcoming summit. 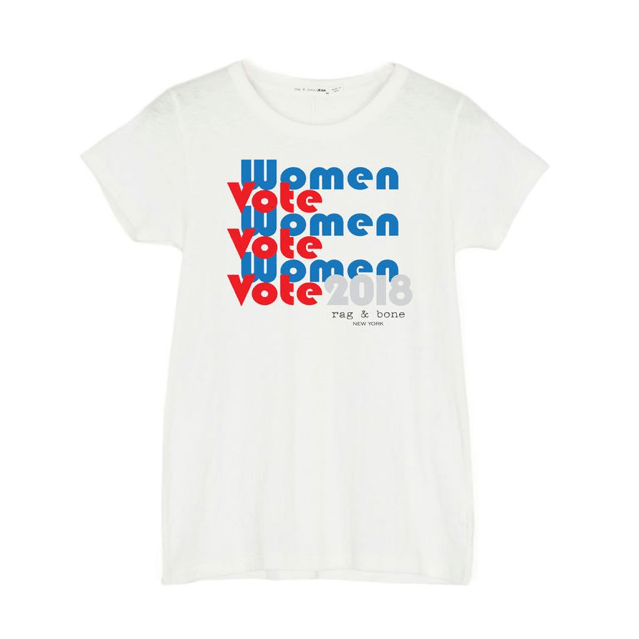 This classic short sleeved rag & bone tee with printed graphic is perfect for showing that supporting female candidates has never been more important. Whether it’s your local school board or the presidential election, exercise your civic duty. Register to vote here. Every year millions of Americans find themselves unable to vote because they miss a registration deadline, don’t update their registration, or aren’t sure how to register. National Voter Registration Day wants to make sure everyone has the opportunity to vote. -Check your voter registration status. Every state’s voter registration requirements and deadlines are different — and some states even remove voters from the rolls if they haven’t voted in a while. -Stop by your local public library, participating businesses, or schools to register or go online. It takes 5 minutes or less. -Share with your friends and family. In 2016 over 750,000 voters used National Voter Registration Day to register to vote across all 50 states. You can make a difference!